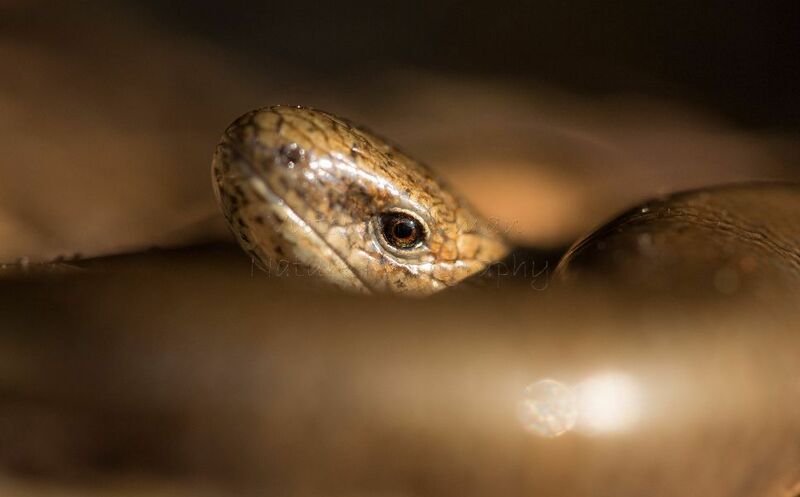 The first wildlife of the year for me are the European adders (Vipera berus), Slow worms (Anguis fragilis) and Viviparous lizards (Zootoca vivipara) as they start to emerge from hibernation. 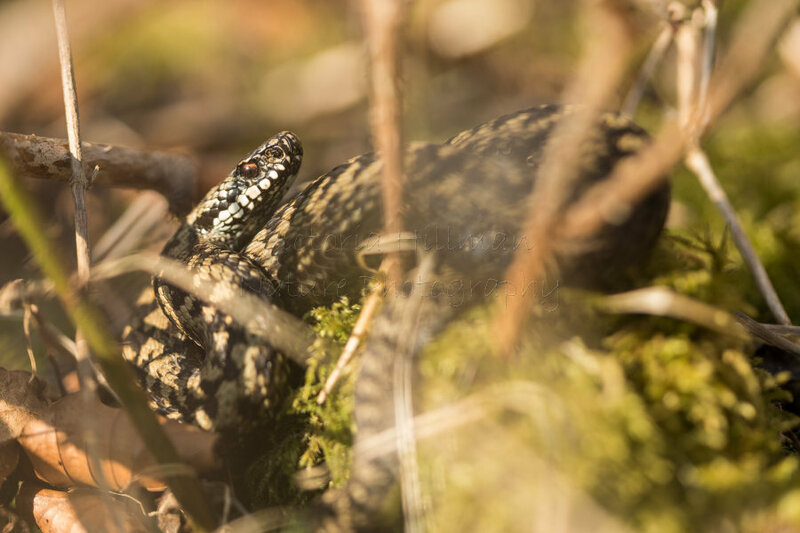 This year my first sightings were on 23rd February and it was pretty chilly at only 5 degrees but the single male adder had picked a sheltered and sunny spot. I photograph all my wildlife as found and undisturbed allowing for natural images of them doing what they do and where they do it, I have not relocated them to clear areas to take the photographs I have simply worked around the area they are in and if getting a shot has not been possible I just sit and watch for a while. 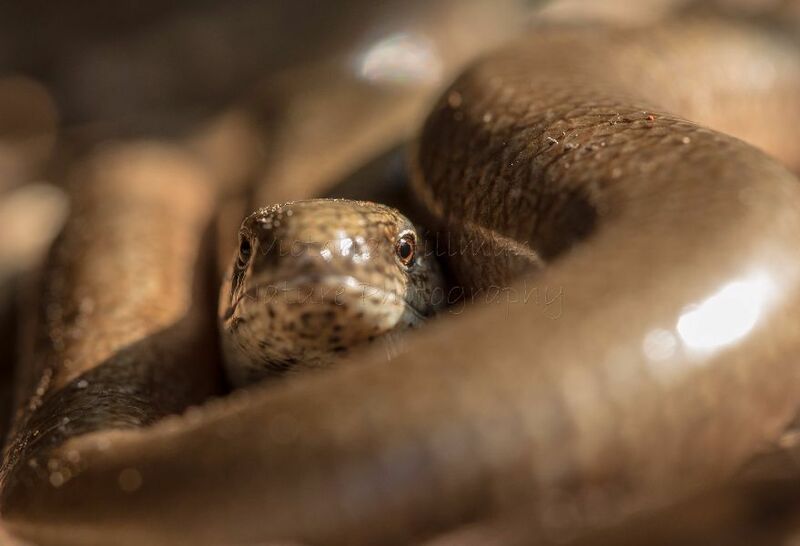 I'm going to start with slow worms, not the easiest of animals to photograph due to being surprisingly shiny, they are actually legless lizards (not worms or snakes) and are very beautiful and interesting animals. Much like lizards they will drop their tails if threatened. 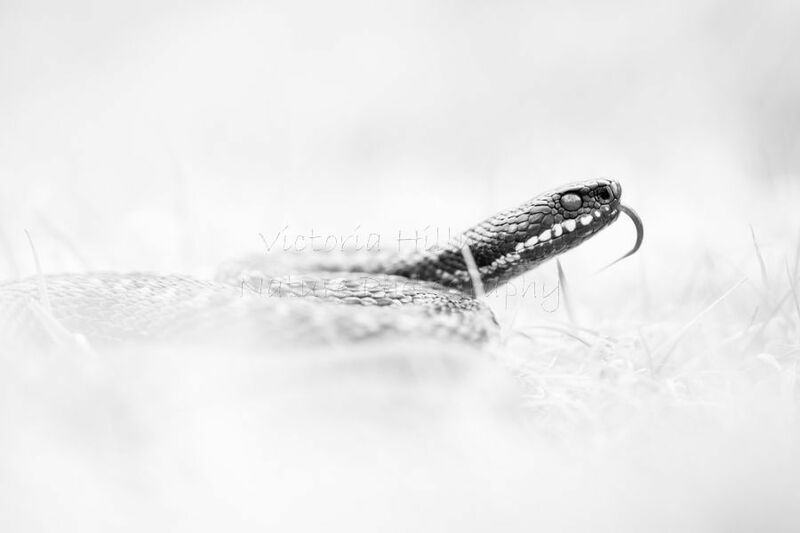 Now onto adders, incredibly beautiful and very much mis-represented animals that in some places do still suffer persecution, not only that but they have become a target species for many people to photograph. 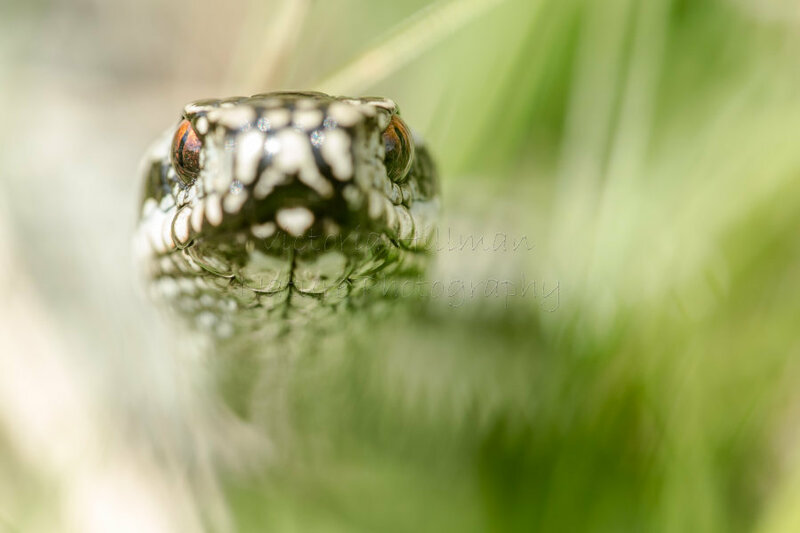 Unfortunately there are a fair few people that will move adders to more photogenic areas just for the sake of a photo and I have even seen people provoke them into getting a strike shot, please do not do this, photograph them where you find them without disturbing them. If you are thinking of going on a so-called adder workshop please make sure you do your research carefully and don't go with those that intentionally move them just to enable you to get a shot and for them to make money the majority of the time these workshops have to potential to cause more harm than the people running them understand with many just looking to make money. Why shouldn't you disturb them? 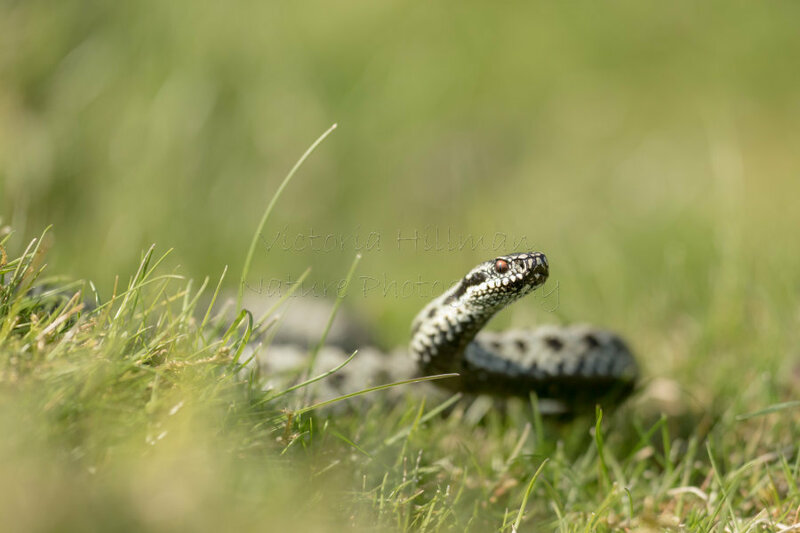 Well, it's quite simple, adders are ectothermic and rely on the heat from the sun and their surroundings to heat up their bodies. As they emerge from hibernation they need to bask to raise their body temperatures in preparation for mating and for the males this means producing enough sperm for the coming mating season, this is a costly process and chances are their last meal was back in the autumn before going into hibernation so disturbance at such a crucial time of year has the potential to be detrimental to breeding success and given females only breed every other year the impacts could be significant. 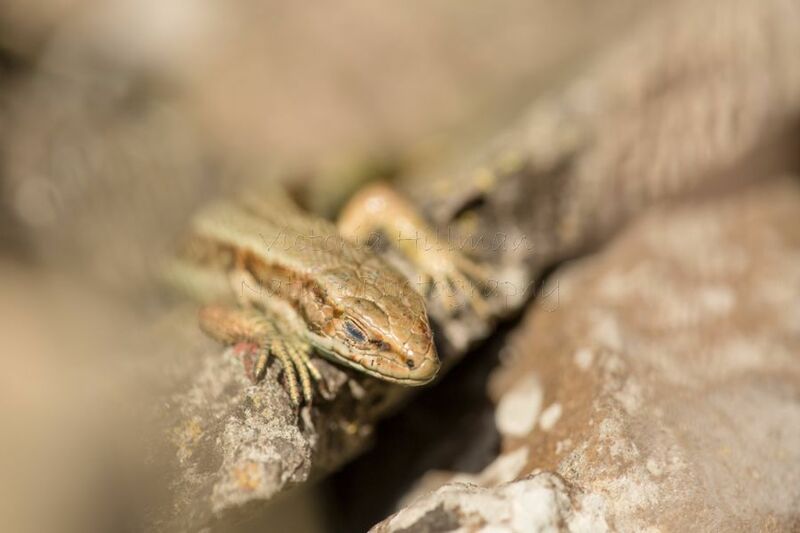 For the females, as they give birth to live young they must regulate their body temperatures to enable development of the embryos ready for birth in the autumn. 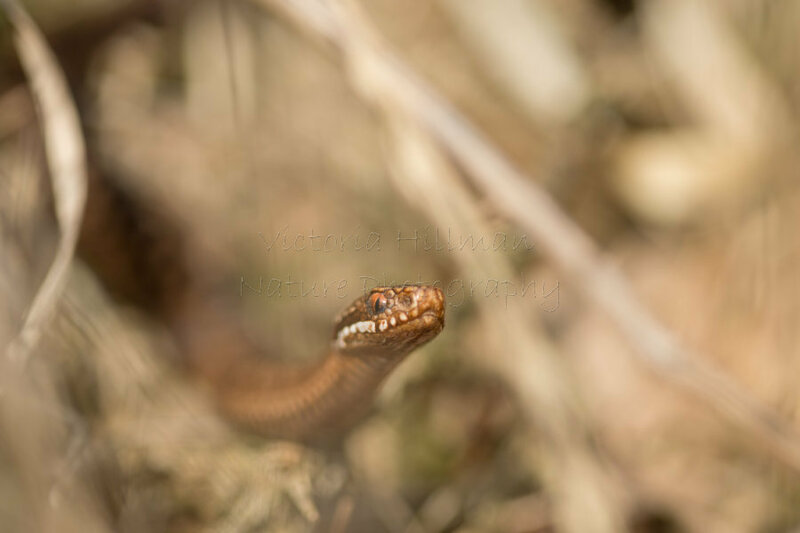 So, here are a few images taken this spring of adders where I found them and left them. 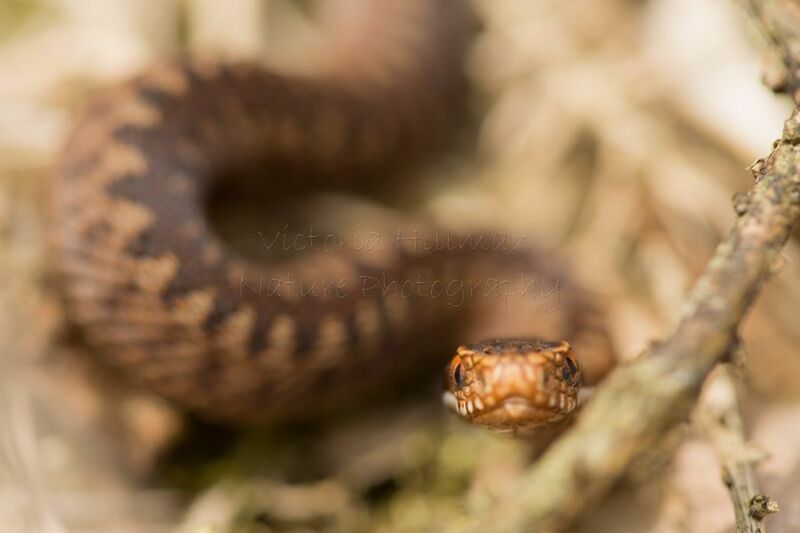 This year I saw my first neonate or baby adder, at just 12cm long they are adorably cute but perfect miniatures of the adults in every way. 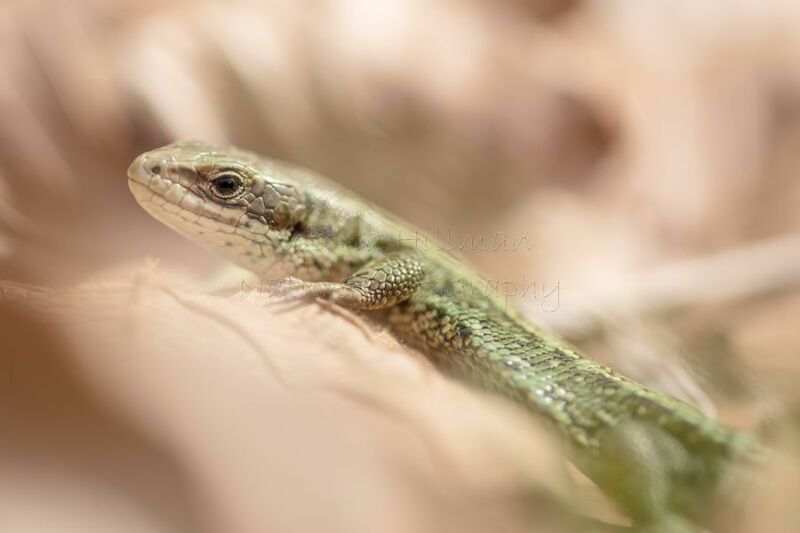 Finally, onto lizards, viviparous lizards to be precise. They can quick and can be tricky to get good photos of, but with time (a lot of time), patience and knowledge I have been able to capture a few images this year. I would like to make it clear that I will not disclose the locations of my photographs beyond the county level so please do not ask me too, I love seeing these beautiful creatures in their habitats and look forward to it every year but am very aware of the levels of disturbance they already face so will not give out their locations, this goes the same for many of the species I photograph. I hope you've enjoyed reading this post, the next one will be on a first for me, snakeshead fritillaries.